Watermelon may be a summer staple, but we've clearly been missing out on some of what it has to offer. What if you could both enjoy the juicy flesh and make a practical party centerpiece all at once? 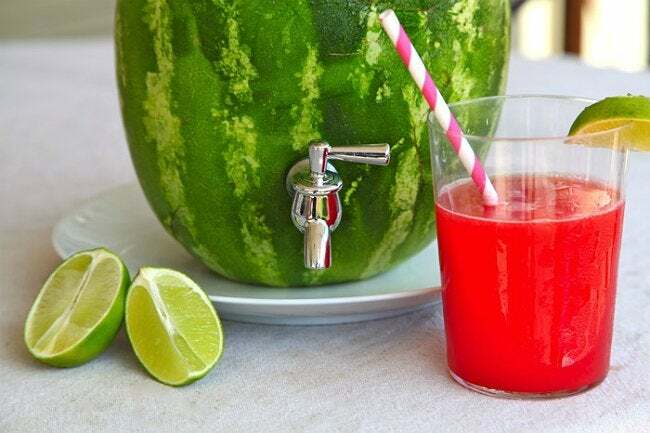 Read on to find out how a watermelon can get a second life as a keg! There’s more than one way to slice a watermelon, and more than one thing to do with it once you do! Sure, you can snack on juicy cuts any sticky summer day, but why leave it at that when you can also use the fruit to pour yourself a cool, refreshing drink? Jaime of Pretty Prudent teaches us a thing or two about using every part of the summertime staple by turning her rind into a festive drink dispenser. 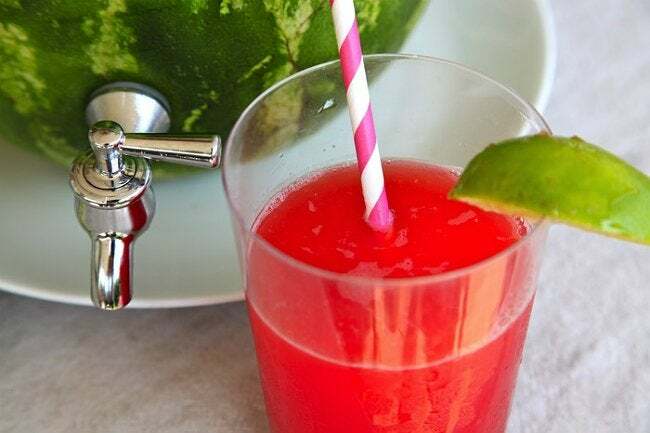 To re-create this fun, party-ready DIY, you’ll need nothing more than the summer essentials: a ripe watermelon, kitchen knife, ice cream scoop, spigot, and apple corer. Start by slicing a small portion off the bottom to make a flat base so the watermelon stands up tall. Now, cut another, larger chunk off the top—remember, a large opening will make it easier to hollow out the inside. Once you’ve scooped out as much of the pink melon innards as you can, use an apple corer to create a hole for your spigot. Then, screw the spigot into place.